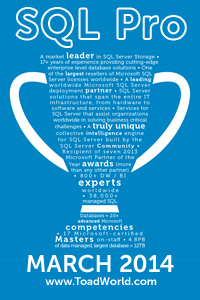 Hey all you proactive SQL junkies, want to jump start your SQL 2012 Certification? Or are you just here because you saw the world’s most favorite four letter word – FREE? Either way I got your fix right here. Next, start reading up on the new features from the free Ebook Introducing Microsoft SQL Server 2012 by Ross Mistry and Stacey Misner provided by Microsoft Press here. Finally, download a copy of SQL 2012 here and start playing around with it. I would recommend using a Virtual Machine for your testing, it is easy to setup and scrap afterward and can be separated from your network environment. Hopefully I will get a chance to load a demonstration video on how to do that. Please feel free to contribute by adding your links in the comments section. What is the included with the sql 2012? How many exam should give us to get certificate?